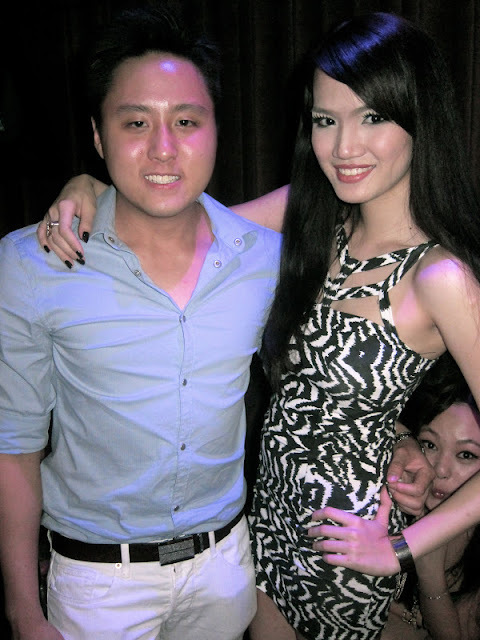 Its been a long time since I posted party pictures. Prolly cause I'm bored of this phase, well maybe I just need a time out for a bit haha. So here goes, lots of pictures. Little words. Yong Xian, Rachel & I.
YewLoong, Weisheng, WengFoong, Kenny, Shaun, Wesley. KenYeang and I with miss peek-a-boo Seewai at the back. Erin, Cynthia, Michelle and Amanda. Erin, Cyn, Ivy and I.
Sherrie Berrie, Sonia, Abi and I.
Sherrie, Sonia, Erin, Michelle, Wheylu, Cynthia and I.
tipsy girls sharing kisses & secrets, Natalyn and I.
Sherrie, Erin, Cyn, Wheylu, Abi, Nat and I.
Till the next post, x.